Virtualization increases the agility and flexibility of IT organizations looking to leverage automated self-service - giving birth to cloud service. Many organizations are now becoming painfully aware that traditional storage systems have not kept pace with the requirements of virtualized environments.They’re finding that they need to address key areas such as performance, capacity utilization, scaling, monitoring, policy setting, reporting, troubleshooting, and availability. 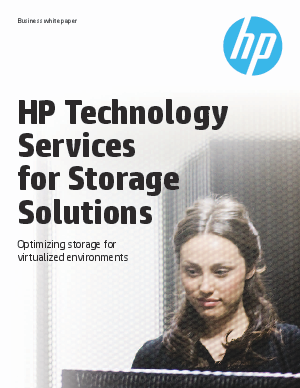 Read on to learn how HP technology services can help with storage solutions.